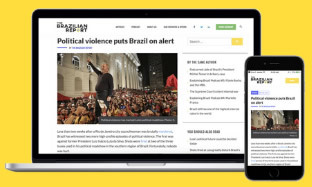 Jair Bolsonaro was elected president in October 2018 with the promise of shattering Brazil’s corrupt political system. He also promised to “refound” Brazil’s economy through radical austerity reforms. But, as agents of change usually do, Mr. Bolsonaro has struggled to transition from his campaign persona to the role of leading Latin America’s largest economy. 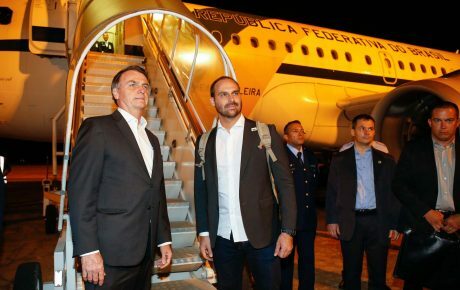 While on the campaign trail, Mr. Bolsonaro respected few boundaries—even promising to arrest or “machine gun” his opponents. But he has learned the hard way that now, his words (or lack thereof) bare consequences—often unintended ones. His first month in office was marked by controversy, backpedals, and quarrels that give the feeling that oftentimes, the government lacks clear guidance. Moreover, the administration has found itself weakened by a corruption scandal involving the president’s eldest son Flávio—which has even led to conversations about the possibility of the tide reaching the doorstep of the presidential palace. Meanwhile, vice-president Hamilton Mourão is presenting himself as a sort of moderate alternative—ready in waiting, just in case—which has created rifts within the administration. The president’s first month in office was also a rather eventful one. Between the Brumadinho dam collapse, the mounting pressure against Venezuela’s authoritarian president Nicolás Maduro, his surgery to remove a colostomy bag, and his son’s problems, we can’t say that January has been a quiet month for the Bolsonaro administration. But, Mr. Bolsonaro has little to show for it. Besides a decree mildly loosening gun ownership laws, he hasn’t done much so far. All in all, the president has a collection of episodes that laid bare the government’s weak spots and limitations. As a candidate, Mr. Bolsonaro was not one for self-restraint. But, once elected, his words began to bear a whole different weight. Even before taking office, for instance, his virulent Twitter machine made Cuba drop out of the More Doctors Program—created to help Brazil’s medical blindspots. 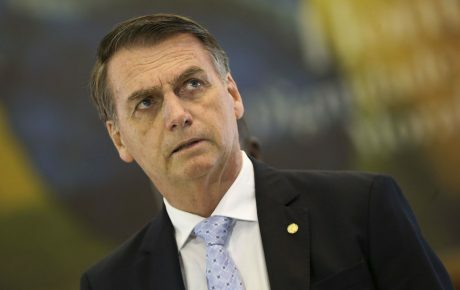 Mr. Bolsonaro’s compared the program to a modern form of slavery—as the Cuban government gets the lion’s share of the doctors’ paychecks and doesn’t allow them to bring their families with them. It’s not an absurd comparison, but Cuba’s move has left millions without sufficient care, and the government has struggled to find professionals to fill in for the Cubans in remote areas. On January 4, Mr. Bolsonaro sent shockwaves through the markets when he said he could review the merger deal between Brazilian planemaker Embraer and America’s Boeing. His declaration caused Embraer stock to crash by 5 percent in one afternoon. In the end, it was for nothing, as Mr. Bolsonaro endorsed the same deal the following week. Another blunder of the new president was his remarks about relocating the Brazilian embassy in Israel from Tel Aviv to Jerusalem. The statement angered Arab-majority countries — as one would expect — threatening Brazil’s halal meat exports to the Middle East. Recently, Saudi Arabia banned products from 33 Brazilian poultry plants and, while the move has other motivations — such as sanitary issues and the Saudis wish to rely less on Brazil — Mr. Bolsonaro’s words certainly didn’t help the country’s case. Disastrous statements weren’t a trait exclusive to the head of the government. His underlings also committed a series of gaffes. 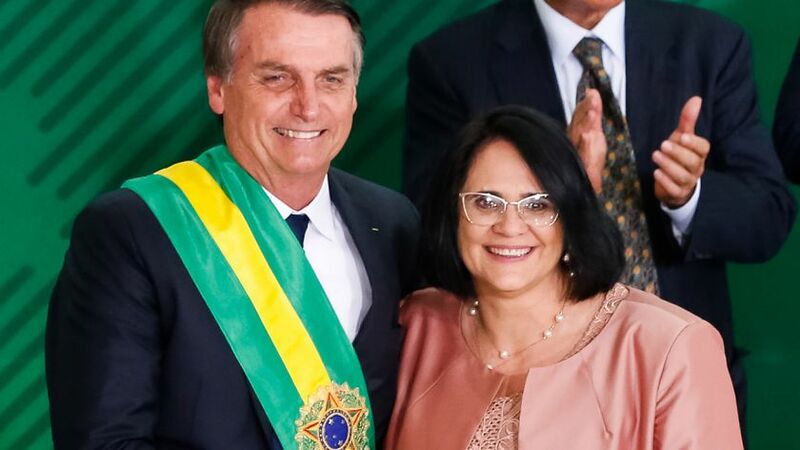 Minister of Human Rights Damares Alves made headlines with videos of her saying that “girls should wear pink and boys wear blue;” or stating that evangelicals were wrong in “letting” the theory of evolution gain ground in the public education system, to the detriment of creationism. Ms. Alves is once again in the spotlight and for all the wrong reasons. A weekly magazine has accused her of abducting a child from an indigenous village 15 years ago. Lulu Kamayurá, who is today treated as Ms. Alves’ adopted daughter, was reportedly taken from her family at around 6 years of age. The minister claims she saved the child from being sacrificed. Meanwhile, Minister of Education Ricardo Vélez-Rodríguez has attacked journalists, calling them former Soviet recruits. 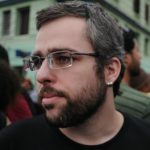 Like Ms. Alves, Mr. Vélez-Rodríguez has been adamantly opposed to so-called “gender ideology,” a dog whistle for LGBTQ-fobia used by Brazil’s far right. Time and time again, the administration has found itself forced to backpedal on many positions. One instance was when Mr. Bolsonaro declared he had signed a decree increasing taxes on international transactions. Minutes later, Chief of Staff Onyx Lorenzoni said his boss had made a mistake — and that no tax raise was going to be implemented. The same happened when, during an interview, Mr. Bolsonaro defended the construction of a U.S. military base on Brazilian soil. This is actually one of the few (if not the only) topics upon which the military and the left agree: both camps believe that an American base would be a threat to national sovereignty. Once again, the government called back the president’s words. On January 2, the Ministry of Education issued an order to allow schools to purchase textbooks containing advertising and grammatical and factual errors. It also excluded the obligation of bibliographical references to substantiate the content of the books. In addition, content to combat violence against women and promoting the quilombola culture (traditional communities descending from slaves) had been scrapped. A week later, the ministry revised its decision. Mr. Bolsonaro’s election has a lot to do with his social media charisma — but it was more due to the rejection of the Workers’ Party, which dominated national politics for 14 years. The center-left party led administrations riddled by corruption scandals which tarnished its legacy. But even so, it took more than a year before former President Lula had to deal with scandal. For Mr. Bolsonaro, the proverbial fan was already covered in dirt even before he took office. His son Flávio, a Senator-elect, is suspected of money laundering and is believed to have ties with urban militia groups. The deeper the investigation goes, the more Flávio Bolsonaro seems implicated — even if he has yet to be formally placed under investigation. And that weakens his father’s administration. While his first month has been a forgetful one, there is still plenty of time for him to bounce back. The administration has two choices ahead: correct the mistakes and right the ship; or ignore the red flags and double down on its positions. So far, it seems that the second option is the preferred one. 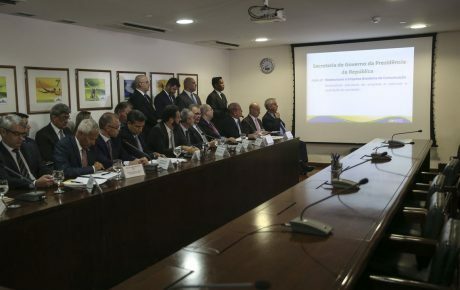 For example: when the government signed an order allowing any politically-nominated official to classify public documents as ultra-secret, VP Mourão minimized the impacts on transparency, saying that sealed documents are a rare occurrence. It’s true, but that has been the case precisely because very few people can place the ‘top secret’ tag on them. 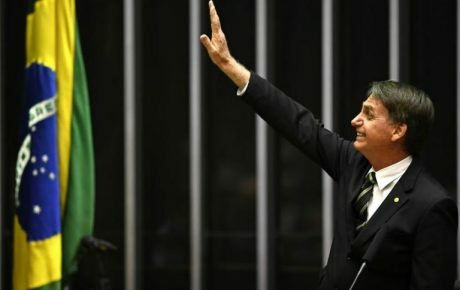 Mr. Bolsonaro’s second month will mark the beginning of his relationship with Congress — as the new legislature begins on February 1. It will be the president’s baptism of fire to test if he has what it takes to lead the country.